Of Wauwatosa died peacefully on Sunday, August 12, 2018, at the age of 80 years. Lovingly survived by his wife Marcy Neal of 32 years; children, Stephen (Lisa), Timothy (Jennifer) Neal, Julie (Bob) Schmitz, Kelly (Frank) Matousek and Brian Drought. He is further survived by his grandchildren, Noah (Sherry), Jacob (Leanne),McKenzie, Cory, Colin Neal, Melissa (Pete) Brettingen, Adam (Bryanna), Ryan Neal, William, Brady Schmitz, Kaylea, Alyssa and Aidan Neal; great-grandchildren, Amber, Emma, Aubrey, Jack, Elliot Neal, Brooks Brettingen and Easton Neal; daughter-in-law, Amy Neal; sister, Crystal Neal; former wife, Sandra Neal; PT and Buddy, Ryan Gaynor; nieces, nephews, other relatives and friends. Wes was preceded in death by his parents, and sons, Wesley E. Jr and Daniel P. Neal; siblings, Mary Olds, Buddy and Robert Neal. 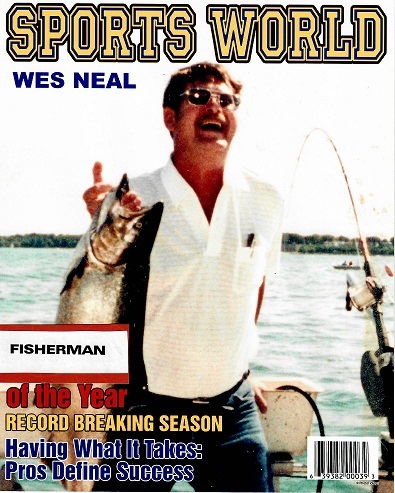 Wes was a Proud United States Army Veteran; an avid fisherman, model ship, model air plane and clock builder. He instilled in his children the dedication to serving our country and strong work ethics. Most of all he was a loving and dependable husband, partner, dad, grandpa and buddy. A private Military Honors graveside service will be held at Southern Wisconsin Veterans Memorial Cemetery. In lieu of flowers memorials to the family would be appreciated.